GAP, which stands for the Generic Access Profile, governs advertising and connections with Bluetooth Low Energy devices. The following commands can be used to configure the GAP settings on the BLE module. You can use these commands to modify the advertising data (for ex. the device name that appears during the advertising process), to retrieve information about the connection that has been established between two devices, or the disconnect if you no longer wish to maintain a connection. This command can be used to prevent the device from being 'connectable'. Diplays the current connection status (if we are connected to another BLE device or not). Disconnects to the external device if we are currently connected. Updating the device name will persist the new value to non-volatile memory, and the updated name will be used when the device is reset. To reset the device to factory settings and clean the config data from memory run the AT+FACTORYRESET command. Deletes and bonding information stored on the Bluefruit LE module. 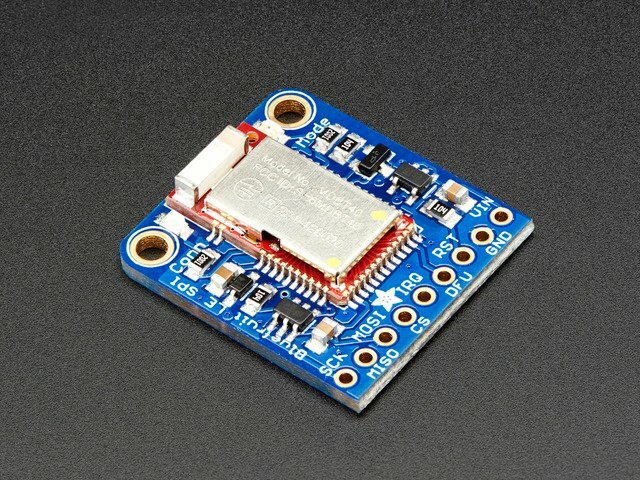 Gets or sets the various advertising and connection intervals for the Bluefruit LE module. Be extremely careful with this command since it can be easy to cause problems changing the intervals, and depending on the values selected some mobile devices may no longer recognize the module or refuse to connect to it. To save power, the Bluefruit modules automatically drop to a lower advertising rate after 'fast advertising timeout' seconds. The default value is 30 seconds ('Fast Advertising Timeout'). The low power advertising interval is hard-coded to approximately 0.6s in firmware < 0.7.0. Support to control the low power interval was added in the 0.7.0 firmware release via an optional fifth parameter. If you only wish to update one interval value, leave the other comma-separated values empty (ex. ',,110,' will only update the third value, advertising interval). Updating the GAP intervals will persist the new values to non-volatile memory, and the updated values will be used when the device is reset. To reset the device to factory settings and clean the config data from memory run the AT+FACTORYRESET command. Causes the Bluefruit LE module to start transmitting advertising packets if this isn't already the case (assuming we aren't already connected to an external device). Stops advertising packets from being transmitted by the Bluefruit LE module. Sets the raw advertising data payload to the specified byte array (overriding the normal advertising data), following the guidelines in the Bluetooth 4.0 or 4.1 Core Specification. In particular, Core Specification Supplement (CSS) v4 contains the details on common advertising data fields like 'Flags' (Part A, Section 1.3) and the various Service UUID lists (Part A, Section 1.1). A list of all possible GAP Data Types is available on the Bluetooth SIG's Generic Access Profile page. WARNING: This command requires a degree of knowledge about the low level details of the Bluetooth 4.0 or 4.1 Core Specification, and should only be used by expert users. Misuse of this command can easily cause your device to be undetectable by central devices in radio range. WARNING: This command will override the normal advertising payload and may prevent some services from acting as expected. To restore the advertising data to the normal default values use the AT+FACTORYRESET command. 0x0D 0x18 is the first 16-bit UUID (which translates to 0x180D, corresponding to the Heart Rate Service). 0x0A 0x18 is another 16-bit UUID (which translates to 0x180A, corresponding to the Device Information Service). Including the service UUIDs is important since some mobile applications will only work with devices that advertise a specific service UUID in the advertising packet. This is true for most apps from Nordic Semiconductors, for example. Parameters: The raw byte array that should be inserted into the advertising data section of the advertising packet, being careful to stay within the space limits defined by the Bluetooth Core Specification. This guide was first published on Jul 07, 2015. It was last updated on Jul 07, 2015. This page (BLE GAP) was last updated on Apr 21, 2019. Learn how to make a Bluetooth Low Energy App for iOS using Swift.